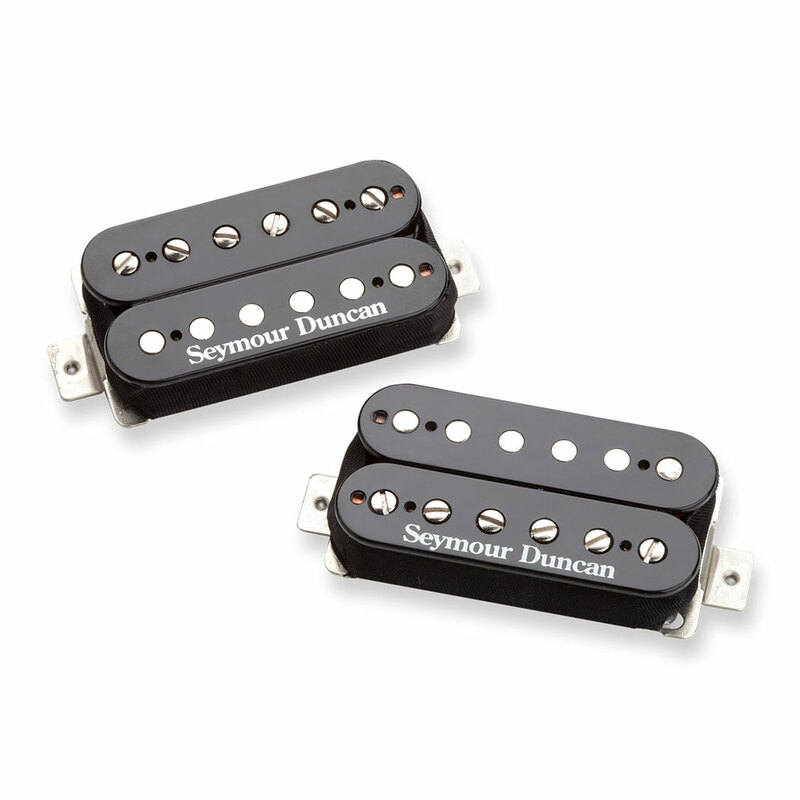 The Seymour Duncan SH-6 Distortion Mayhem Humbucker Pickup Set is made up of one bridge and one neck specific Distortion pickup. The Duncan Distortion bridge is their original high output humbucker, using a large ceramic magnet and hot coil windings to deliver well balanced rock and metal tones that have rich upper midrange harmonic content, great for hard-hitting, crunchy rhythms and searing lead tone. Riffs are tight and percussive and lead work is fast and immediate with ultra-clear pick dynamics. The Duncan Distortion neck pickup is specifically designed for use with the matching high output bridge version, it is hot enough to deliver smooth, fluid solo tones under high gain, while still producing bell-like clean tones.